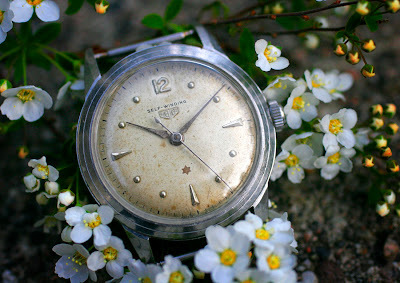 This a sweet litte Heuer from the 1950's. It's a mans watch but by today standard it's very small. 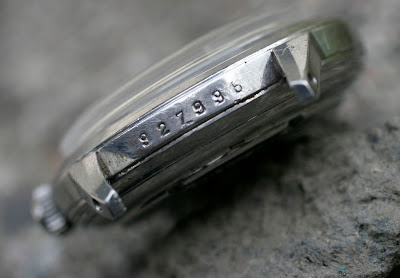 The diamater is only 32mm. 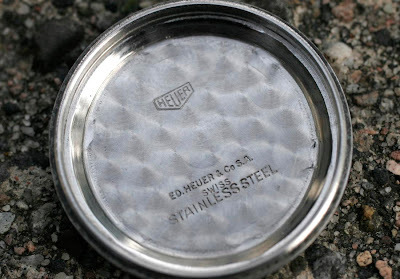 The case is stainless stel with a screw in case back. 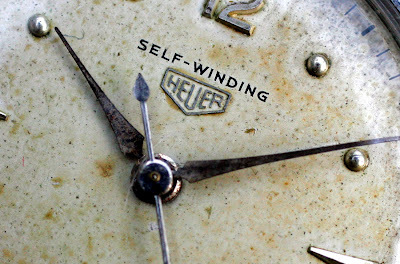 The watch is signed four times, dial, movement plus outside and inside of the case back. The serial number is stamped between the lug, but no ref. number can be found anywhere. 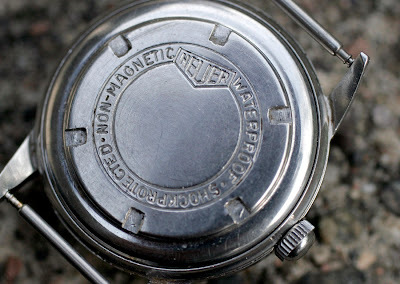 It's very difficult to find informations about these automatics, they do not appear in any catalogue I have seen. 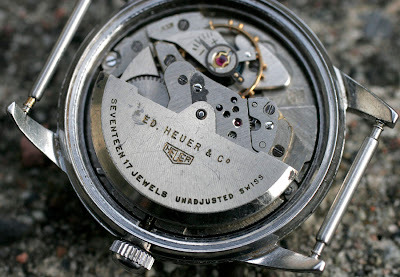 The movement is A.S. 1361 automatic with sweep second. Size: 11.5''', Dm= 25.6mm, H= 5.7mm. 17 or 21 jewel. sf = 18000 A/h, power reserve 36h.